I wanted to share with you all this wonderful oil diffuser from Organic Aromas and their Signature 100% Pure Essential Oil Blend! 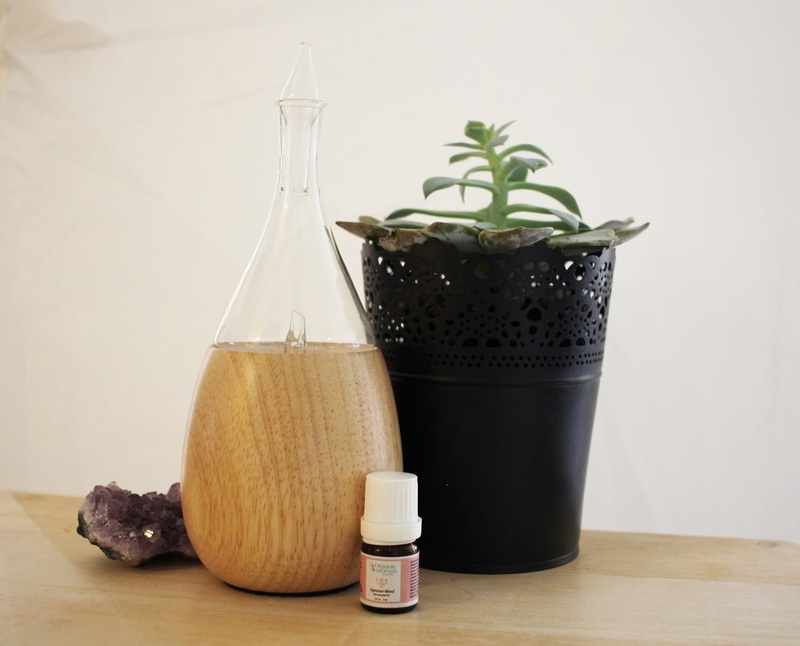 Organic Aromas was so kind and sent me their Raindrop Essential Oil Diffuser in the colour light wood. They have a ton of different diffusers including laser etched and hand carved, and over 18 essential oils to choose from! Lets start with the Signature 100% Pure Essential Oil Blend they sent me! This smells absolutely phenomenal, it's so hard to explain what exactly it smells like but to me it reminds me of strawberry lemonade and a fresh breeze on a warm sunny day. I swear, it's made from pure sunshine! Unlike a lot of other scents from wax melters, ect. this didn't give me a headache and asthma which is something that always seems to happen to me. You need the littlest amount and it fills your room with it's lovely scent! The little bottle you see above retails for $26.14 CAD for 10ml and is worth every last drop! Now, onto the real star of the show! 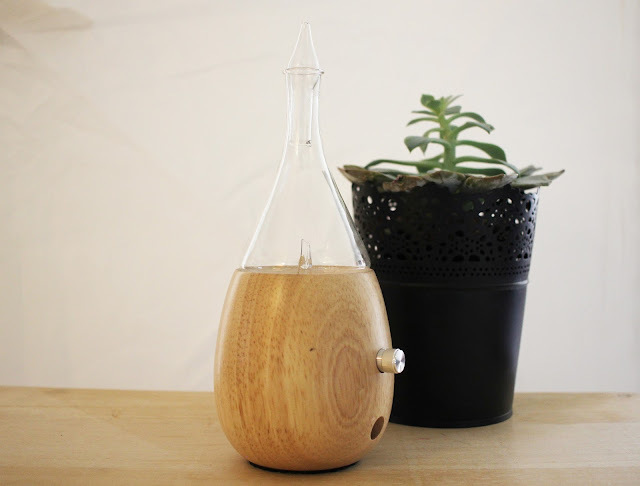 The Essential Oil Diffuser for Aromatherapy in the Raindrop shape, it is created with hand-made wood and custom blown glass! There are two different options for the wood colour, there is light wood which I received and then there is also a black wood option. It is completely silent, doesn't use any heat or water and plugs into the wall, I love that it doesn't use heat or water because I have a curious kitten that I'm always worried about getting into these things! It also has a beautiful rainbow LED light that sparkles as it diffuses! 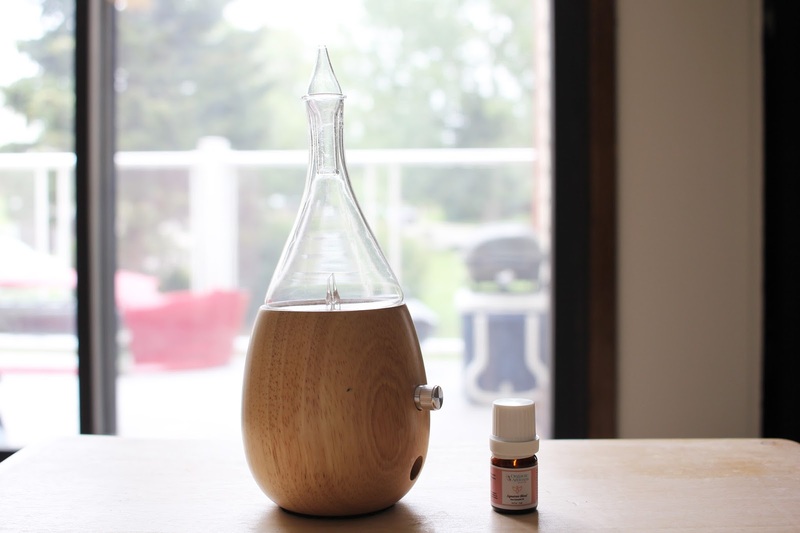 It nebulizes the essential oil, spraying a beautiful, fine mist into the air. There is a little dial on the side so that you can control exactly how much you want to diffuse. It retails for $124.18 CAD. Personally, this diffuser has made me switch from my Scentsy to this, and I'll never go back! The benefits from the essential oils is phenomenal and there are so many different choices depending on what you're looking for! I'm obsessed with them now and want one in almost every room! Check them out at their social media below!